Summer is the time for back-to-school shopping, and that means states will encourage sales by holding sales tax holidays. If your business sells products that might be tax-exempt during a sales tax holiday in your state, you need information and some tips on preparing for this holiday. The Sales Tax Institute says that, in 2017, 14 states participated in some way with sales tax holidays on various dates and for various purposes, from school clothing to energy efficiency and hurricane preparedness. Most states hold their sales tax holiday in early August. 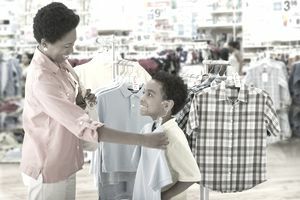 The first sales tax holiday was announced by New York in 1997, to encourage back-to-school shoppers to stay in New York to buy school clothes, rather than going to neighboring states where clothing is tax free. Every year, most states offer customers a day or days when they can buy specific products without having to pay sales taxes on those products. Often, this promotion coincides with sales of back-to-school supplies and clothing. Not all items are exempt from sales taxes; each state has its own date and exemptions. If you own a retail business, this means you must participate by selling sales-tax-exempt items during this time with no sales tax. First, you need to know if your state is offering any sales tax holidays and whether any items you sell are exempt during this time. The Sales Tax Institute has a list of sales tax holidays. Some states are finding it difficult to justify giving shoppers a no-tax weekend. Georgia canceled its sales tax holiday in 2017, citing that the benefits weren't worth the lower tax revenues. Compare the list of items that are part of the sales tax holiday with the items your business is selling. Check to see if you must still add local option taxes to sales during this event in your state. Some cities and counties participate in the sales tax holiday, while others won't, so check with your local taxing authority to see if they participate. You'll need to find out how to handle special circumstances like discounts, gift certificates, splitting items, rain checks, layaways, and more. And are mail order and internet transactions exempt during the holiday? Your state taxing authority will have more information on the details. "in sales tax holidays for states in which Amazon.com LLC and Amazon Digital Services LLC are required to collect tax. During a sales tax holiday, purchases of certain qualifying products will be exempt from sales tax for the specified time period only." "Businesses cannot advertise that they will pay or otherwise absorb the sales tax on items that don’t qualify." Even if your state doesn't have a specific prohibition against this advertising, remember that sales taxes are required in most states. Register with your state to collect sales taxes. Include sales taxes in your calculations for each retail purchase, including local option taxes for your sales location. Periodically, you must make reports to your state on the amounts collected and you must turn over (pay) these amounts. Show the amount of tax that should have been collected on each "holiday" item. Show the amount that was not collected because it was tax exempt. Your state's sales tax reporting form should have these categories, so it's just a matter of adding the holiday items in. Check with your state for details on sales tax holidays and on how to collect, report, and pay state and local sales taxes. Prepare to be busy during this time. Even with all the extra work involved in participating in a sales tax holiday, it can be a nice boost to your business for a few days.